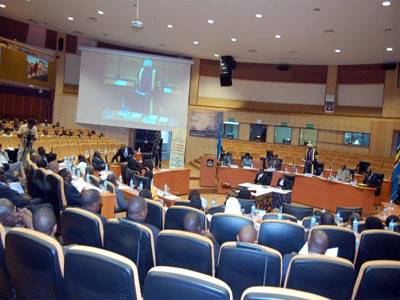 EALA will from Wednesday January 13, 2016 hold a four-day public hearing workshop on the humanitarian crisis in Burundi. 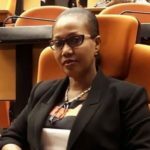 The EALA Regional Affairs and Conflict Resolution Committee (RACR) has called for the public hearing workshop that is intended to review the petition by the Pan African Lawyers Union (PALU) submitted to EALA in November 2015 on the subject matter. The Committee on Regional Affairs and Conflict Resolution is set to establish the facts of humanitarian atrocities as reported in the petition and to make recommendations to the House during the next sitting scheduled to commence on January 24th, 2016 in Arusha. Participants are expected from the Committee Membership, government officials, Civil Society Organisation representatives, representatives from the political parties in Burundi and the petitioners. On November 16th, 2015, four Civil Society Organisations led by PALU petitioned EALA to urgently undertake specified number of actions within its mandate to contain the situation in Burundi. The petition was presented to the Speaker of EALA, Rt Hon Daniel F Kidega, in Arusha by PALU and the East African Civil Society Organisations’ Forum (EACSOF). In addition to PALU (Principal Petitioner) and EACSOF, Atrocities Watch Africa, Centre for Citizens’ Participation on the African Union, East Africa Law Society (EALS) and the Kituo Cha Katiba (KcK) also appended their signatures to the petition. In the petition, the Civil Society representatives urged EALA inter alia to call upon the Chair of the Assembly of Heads of State and Governments of the African Union to take concrete steps towards preventing Burundi from descending into genocide or mass atrocities. Such measures the petition stated include, enhancing the numbers and capacity of the human rights monitors and military monitors deployed to the country. 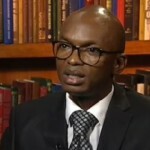 They further called for the sanctions regime of the African Union to be activated. The petitioners also urged the House to make strong recommendations to the Summit of EAC Heads of State that Burundi should not assume the rotating chairmanship of the EAC until it resolves the political, human rights and humanitarian crisis in the country. The petition calls on EALA or a relevant Committee within, to immediately hold a public hearing in Arusha, Tanzania, that would welcome Burundian and East African citizens to testify to the occurrences in the country and to suggest proposals for resolution to the crises. 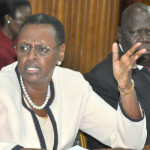 The petition stated that there were numerous reports of cases of assassinations, extra-judicial and arbitrary killings of over 130 persons (at time of presentation) and thus implored EALA to condemn what it terms arbitrary killings as well as the inordinate use of force by the police, security officials and members of a youth wing group, Imbonerakure. The petitioners in addition, want EALA to request the African Union to intervene in the political and humanitarian crisis citing its comprehensive and far reaching legal and institutional framework that includes the Constitutive Act of the African Union, 2000 and the African Charter on Human and Peoples’ Rights amongst others. The EALA Regional Affairs and Conflict Resolution Committee has been following developments in Burundi for some time now and accordingly, the crisis is labeled as one of the severest challenges to peace and stability to the EAC. At the plenary sitting held in Nairobi, the Committee tabled the Report on the Goodwill Mission to the refugee camps hosting Burundi citizens in Rwanda and Tanzania. The Report among other things, called on the EAC Partner States to support immediate interventions towards sustaining peace in Burundi and the EAC at large. It also urged the EAC Partner States to expedite the enactment of a regional legal framework for the management of refugees and to harmonize laws on how to handle intra-refugees’ matters in the region. Last week, the Tanzanian Minister for Foreign Affairs, EAC, Regional and International Relations, and the Chairperson of the EAC Council of Ministers, Ambassador Dr Augustine Mahiga, convened a Consultative Meeting in Arusha to deliberate on the way forward on the situation in Burundi.